Buenos Aires is the 12th-largest city in the world (by population). It is amazing how long it takes to fly over the town when you leave from the local airport. 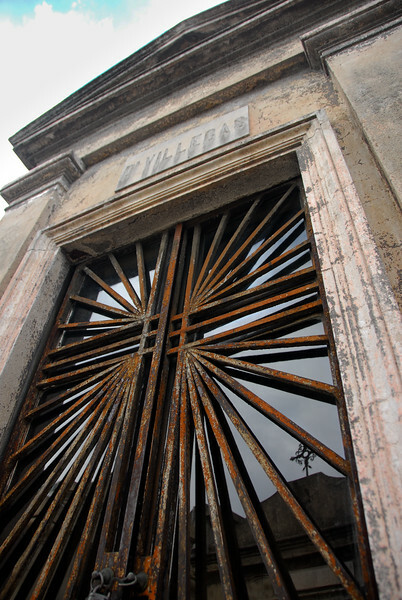 The last photographs in this gallery are from the La Recoleta Cemetery, which is the Recoleta neighborhood of Buenos Aires. The Cemetery includes graves of some of the most influential and important persons of Argentina, including Eva Perón. The cemetery contains numerous elaborate marble mausoleums constructed in a wide variety of architectural styles. The entire cemetery is laid out in sections like city blocks, with wide tree-lined main walkways branching into sidewalks filled with mausoleums. Each mausoleum bears the family name etched into the façade. Brass or bronze plaques are added to the front for particular family members. La Recoleta is one of those cemeteries where the tradition of engraving a death date but no birth date has been maintained. There is a colony of feral cats that resides within the gates of the cemetery. Although they can be spotted anytime, they tend to gather in groups of dozens near closing-time, when some locals feed them.